Pompeo: No Reward for N. Korea Without Irreversible Denuclearization - Integration Through Media ....! 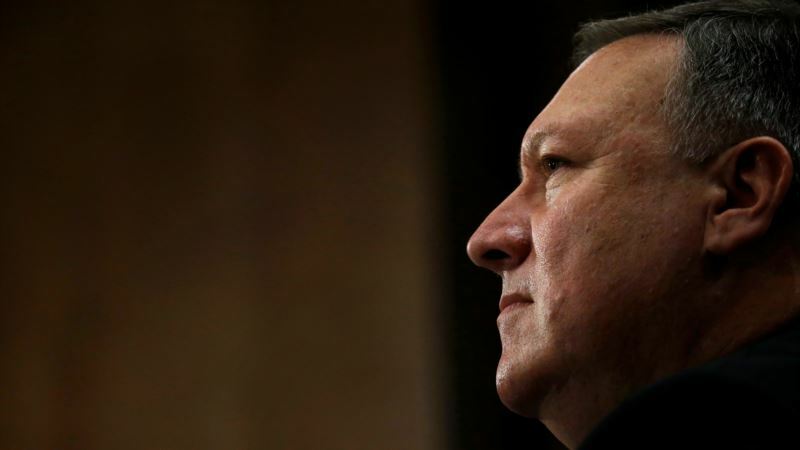 (VOA): North Korea should not expect rewards from talks with the United States until it takes irreversible steps to give up its nuclear weapons, Mike Pompeo, U.S. President Donald Trump's nominee for secretary of state, said Thursday. Pompeo, who is the current CIA director, said the historical analysis was “not optimistic,” when asked at his Senate confirmation hearing whether he believed North Korea would agree to dismantle its nuclear program. But he said that in past negotiations, the United States and the world had relaxed sanctions too quickly. “It is the intention of the president and the administration not to do that this time, to make sure that … before we provide rewards, we get the outcome permanently, irreversibly, that it is that we hope to achieve. Trump has said he plans to meet North Korean leader Kim Jong Un in May or early June and hopes the discussions will lead to an end of North Korea's nuclear weapons program. “Meetings are being set up right now between myself and Kim Jong Un. I think it will be terrific. I think we'll go in with a lot of respect and we'll see what happens,” he said. Trump also said trade “negotiations” between Washington and Beijing were going well, conflicting with China's statements since the president's announcements of plans to impose tariffs on billions of dollars' worth of Chinese goods, which have fed fears of an all-out trade war. Pompeo said he was optimistic a course could be set at the Trump-Kim summit for a diplomatic outcome with North Korea but added that no one was under any illusion that a comprehensive deal could be reached at that meeting. He brushed aside concerns that the administration's moves to modify a nuclear deal with Iran could make an agreement with North Korea more difficult. He argued that Kim would be looking to his own interests, including his country's economy and the “sustainment of his regime,” not other historical agreements. Pompeo stressed that the aim of a Trump-Kim summit was to get North Korea to “step away.” Under questioning, he would not take any option off the table, including military ones. At the same time, he said he was not advocating regime change for North Korea and had never done so. In May, North Korea accused the CIA and South Korea's intelligence service of a failed plot to assassinate Kim at a military parade in Pyongyang. On Thursday, Trump's new national security adviser, John Bolton, met separately with South Korea's National Security Office Director Chung Eui-yong, who led a South Korean delegation that met Kim Jong Un last month, and his Japanese counterpart, Shotaro Yachi. “The national security advisers committed to continue coordinating closely,” a White House official said. Bolton, who took up his post on Monday, has called for North Korea regime change in the past and has previously been rejected as a negotiating partner by Pyongyang. At a separate congressional hearing, Defense Secretary Jim Mattis said the aim was for a negotiated solution to the North Korean crisis. “We're all cautiously optimistic that we may be on the right path for the denuclearization of the Korean Peninsula,” he told the House Armed Services Committee.